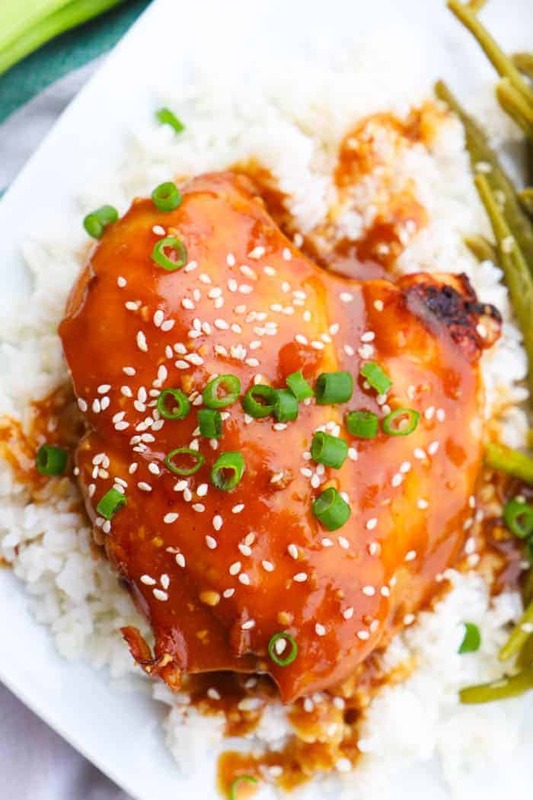 This Baked Teriyaki Chicken Breast is going to quickly be a family favorite. It’s so simple to make and full of flavor. I make simple teriyaki sauce to bake with my chicken breast. Once it’s done I thicken up my sauce then serve it on my chicken over rice. Teriyaki chicken has been a favorite of my husbands for a long time. I decided a few years into our marriage I would need to start making it at home instead of ordering out. 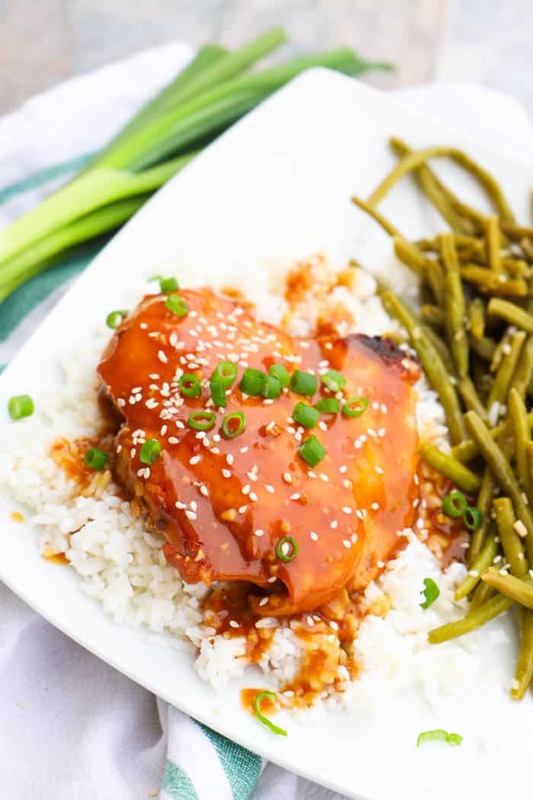 I came up with a simple teriyaki sauce when I made my Slow Cooker Teriyaki Chicken and I used the same sauce to make this Baked Teriyaki Chicken Breast. 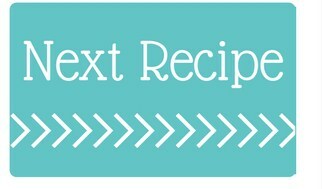 If you do want to make this recipe in the slow cooker then check out the link above. Step one: Preheat your oven and then prepare a baking dish with non-stick cooking spray. Step two: Place your chicken in your prepared dish. Next prepare the sauce, In a small mixing bowl whisk together your garlic, honey, soy sauce, rice vinegar, water, pepper, onion powder, and ground ginger. Pour this sauce over your chicken and place it in the oven to bake. Step three: Once the chicken is fully cooked remove the chicken from the baking dish and allow to rest for several minutes. Meanwhile, place the broth in the baking dish into a pan. Whisk in cornstarch and bring to a boil. Allow boiling while whisking. This will help thicken your sauce. Once it is thick then pour it back over your chicken and serve. Optional step four: I served mine with sesame seeds and green onion as garnish. 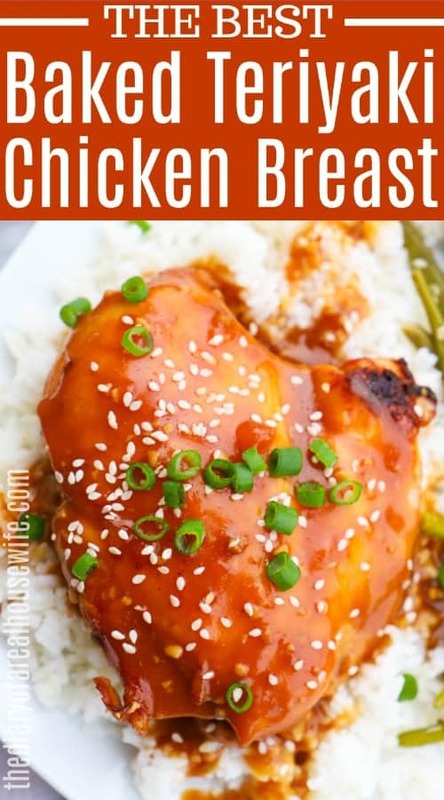 I loved serving this recipe with rice and my simple garlic Asian green beans. Lemon Lime Chili Chicken: I love this recipe! It’s all made in the slow cooker and the perfect taste that reminds me of summertime. Taco Lime Chicken: This recipe is SO easy! You just need three ingredients and some time in the oven. I even grill this one and it’s one of our favorites. Baked Chicken Breast: My go-to chicken recipe. It’s my basic recipe that we love. It goes with just about any side and a must try the recipe. Preheat oven to 375 degrees F. Prepare a baking dish with non-stick cooking spray. Once the chicken is fully cooked remove the chicken from the baking dish and allow to rest for several minutes. Meanwhile, place the broth in the baking dish into a pan. Whisk in cornstarch and bring to a boil. Allow boiling while whisking until sauce has thickened.